Last night I finished book number 50 for this year. It was a meandering tale of the history of apples. A non-fiction title, not my usual fare. 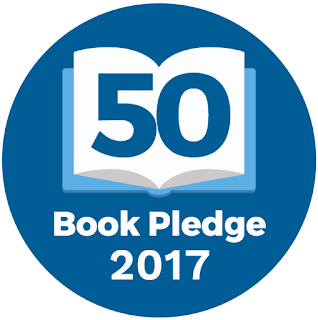 This is the fifth year I have accomplished the goal and that pleases me. I am up to my neck again in pattern testing and much of it is "secret" or "top secret" sewing. 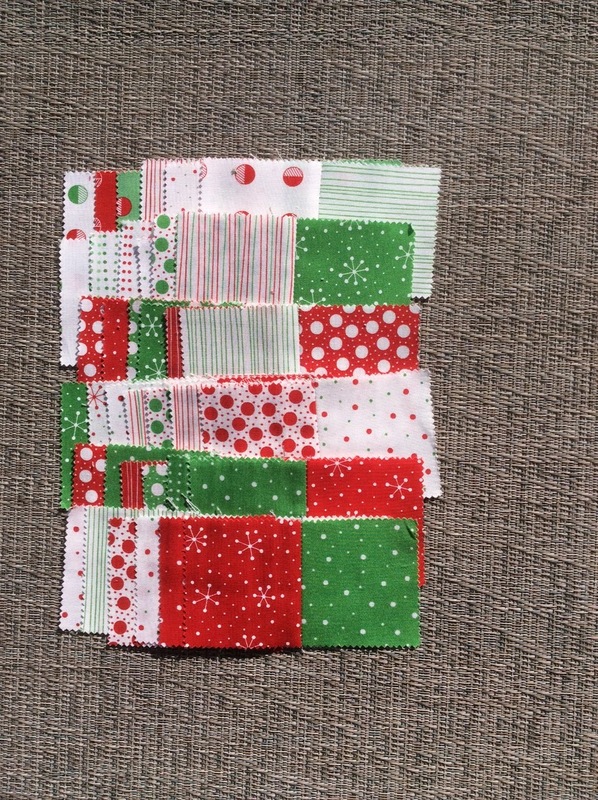 So you will have to take my word for it I am sewing. Using my new machine while my regular one is at the spa for it's annual treatment. Getting a new 1/4" seam organized. etc. etc. etc. I am slowly learning a few more things. I guess as we get older it takes longer. This post was supposed to be up last night but Old Man Winter decided that was not happening and we enjoyed a 16 hour power outage. We had the "good fortune" to be a very small pocket of town out of power and it did not matter as much to us as it did to the Tim Horton's or the only gas station in town. So now on to the quilty content. 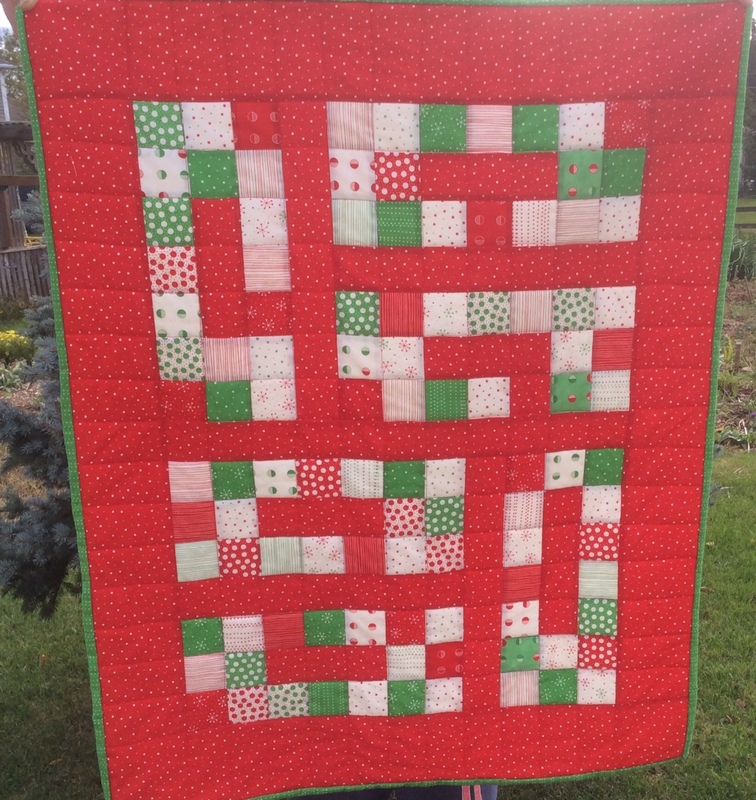 I was able to ask for whatever mini charms I wanted to make this quilt. 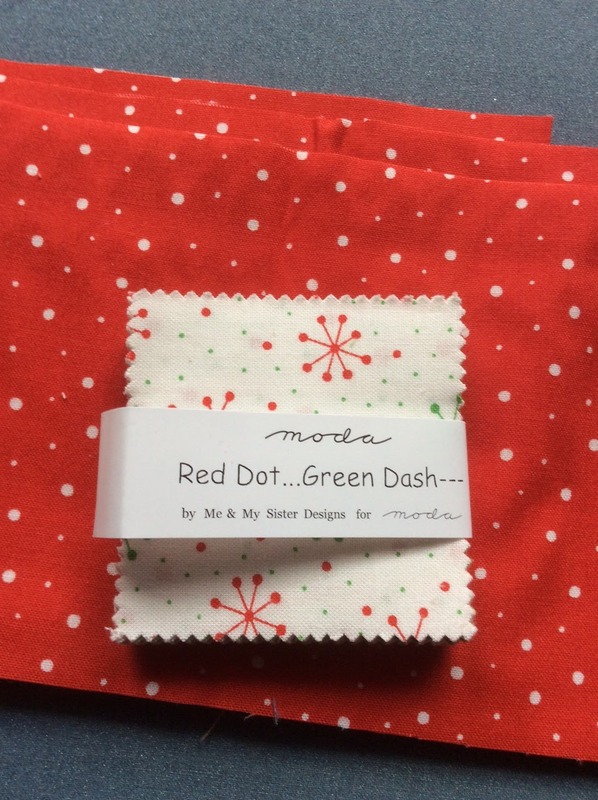 I love the Me and My Sisters designs and since it was for a small quilt I picked Red Dot...Green Dash. Here is where I made my first error. I should have selected something totally different for my background fabric. The overall design of the project gets lost when the background is similar to or matches a couple of your charms. On the left are my fabric choices. The scale of the design was perfect it was just the too matching background that made the final project lack punch. On the right the first step was really fast stitching your charms together in three's. I had never worked with mini charms before so I can only speak for these but they were spot on 2 1/2" square and a delight to work with.